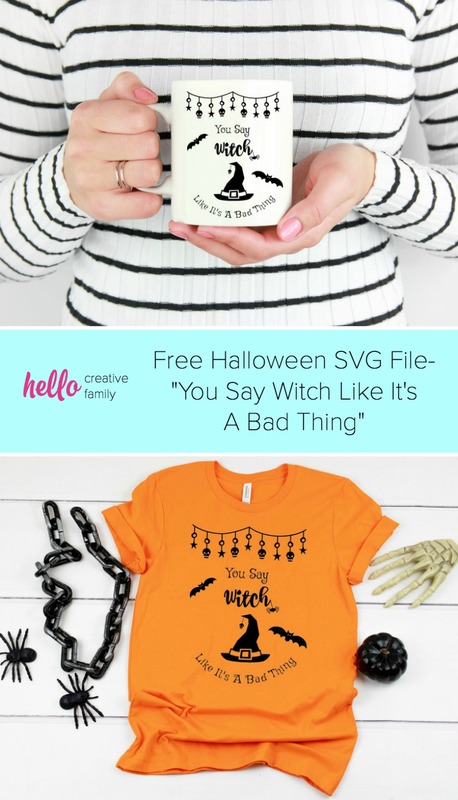 Dowload this Free Halloween SVG File- You Say Witch Like It’s A Bad Thing from Hello Creative Family! 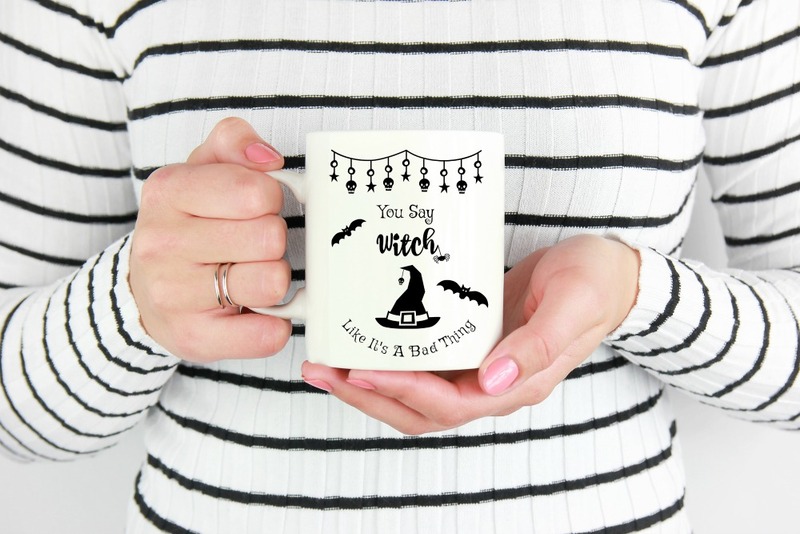 Make this free cut file with your Cricut, Silhouette or favorite cutting machine for an adorable mug, shirt, tote bag or to use for a last minute Halloween Costume! I may get “boo’d” for saying this, but autumn is not my favorite time of the year. 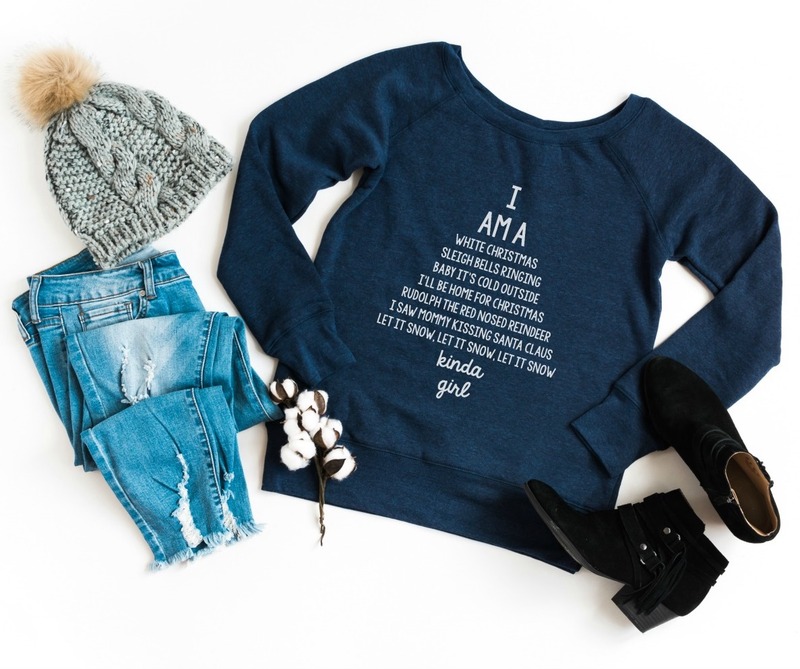 I sit back and watch people gushing about pumpkin spice lattes, falling leaves, big comfy sweaters and knee high boots and secretly lament that the days are getting shorter and that I can no longer get away with wearing flip flops with every outfit. I was talking to a friend about this recently and they said they thought that it’s because we don’t experience fall in the same way in Vancouver as people experience it in other parts of North America. In the Pacific Northwest fall is usually a soggy mess with rain and rotting leaves. We just don’t get the crisp cool weather, the shockingly blue sky and the gorgeous brightly colored leaves that East Coasters experience. Give me autumn in Toronto and I think I’d be a fan, but as hard as I try, I just can’t jump on the fall bandwagon while living in Vancouver. While I’m not a fan of fall, Halloween is a totally different story. I LOVE Halloween! Jack O Lanterns, witches, skeletons and haunted houses… I love this spooky holiday. 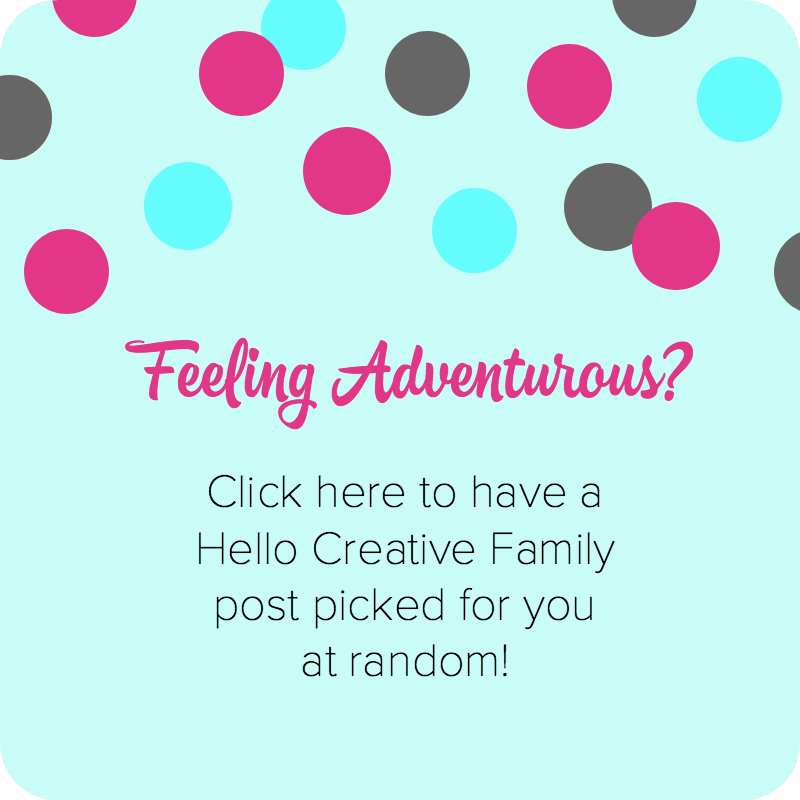 That’s why when 10 of my blogger friends invited me to take part in a Halloween SVG Blog Hop I jumped at the opportunity. Heck yes I wanted to take part! 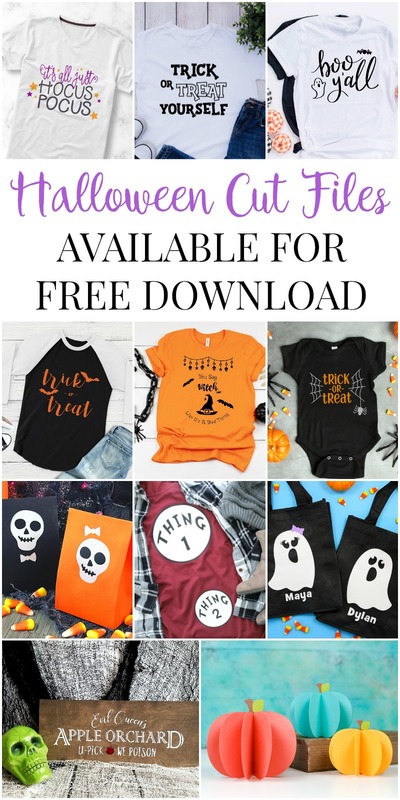 We all go together and created some amazing Halloween themed cut files that you can use with your Cricut or Silhouette! I decided to go with a witch theme for my SVG file. My hubby and I usually end up dressing up with the kids for Halloween. While we try to come up with a new costume each year, I have a good old fashioned witch costume on standby in case I need a last minute costume. I love the idea of witches being misunderstood and doing more good than harm. 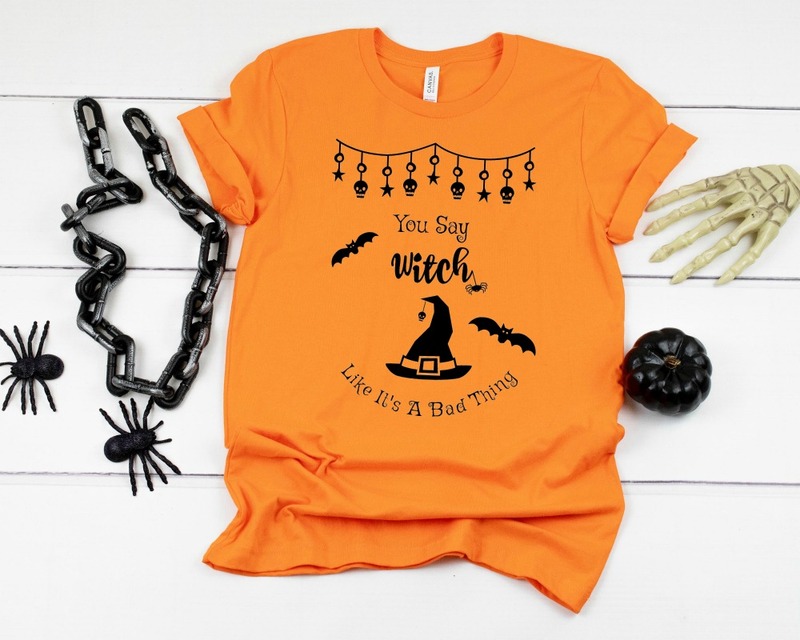 I decided to go with the saying “You Say Witch Like It’s A Bad Thing”. 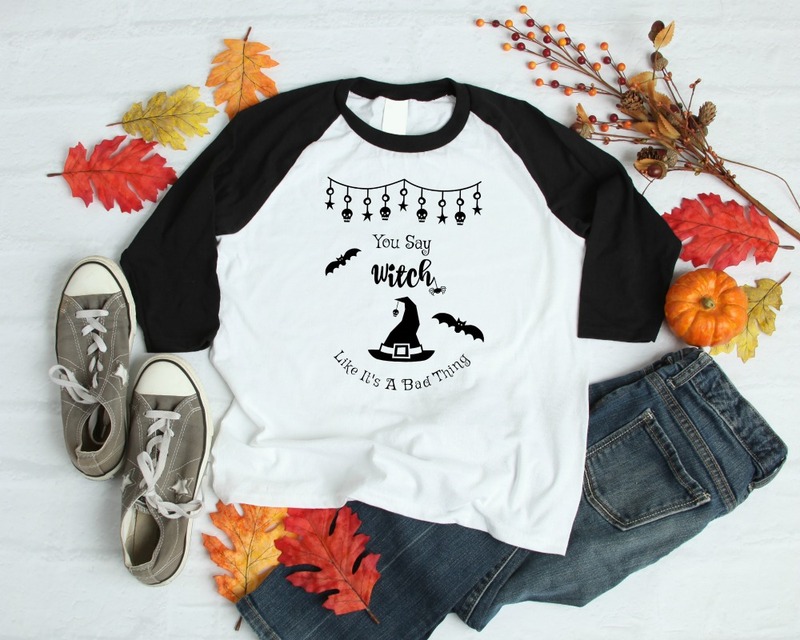 I also love the idea of putting it on an orange shirt and pairing it with a witchy tutu skirt and a witches hat for a last minute Halloween Costume. It would also be sassy and fun on a mug to either use all year long or to pull out for the holiday! 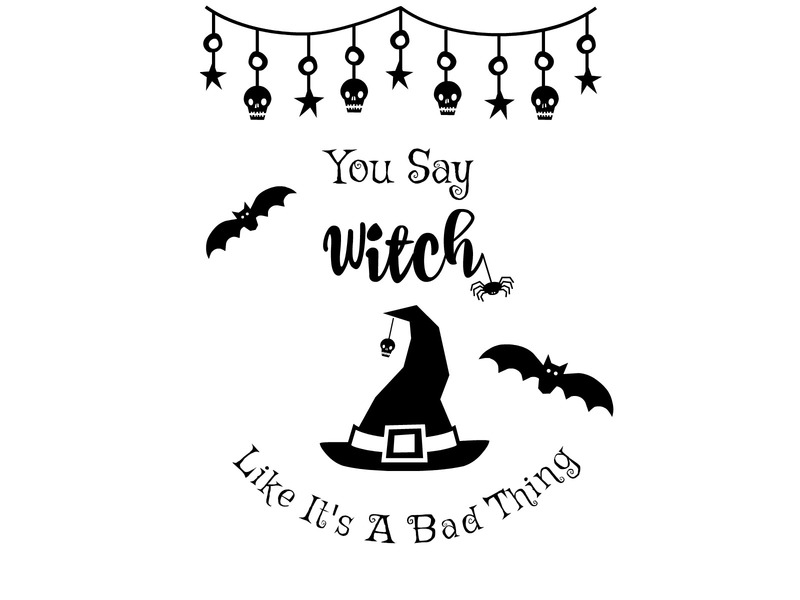 You can find our Free “You Say Witch Like It’s A Bad Thing “Halloween SVG File here. 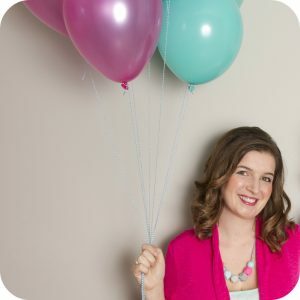 Make sure you check out the fabulous SVG files from my friends too and swing by to download them all! 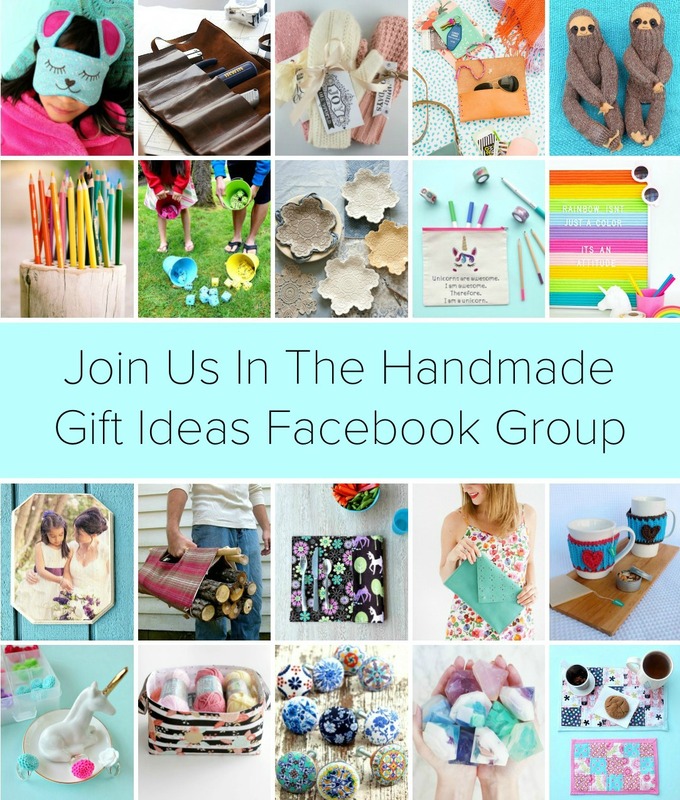 Look at all the cute things you can make! Tell me… What are your thoughts on Autumn? Are you a Halloween fan? 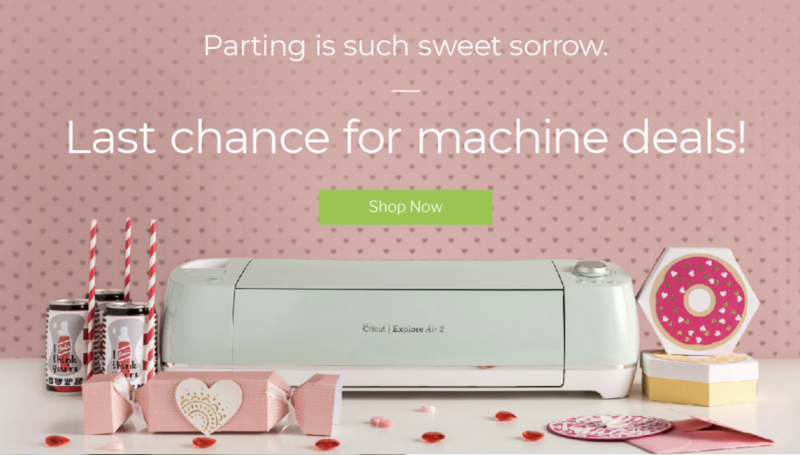 Do you own a Cricut or a Silhouette? 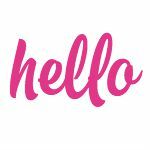 What would you make with this SVG file? 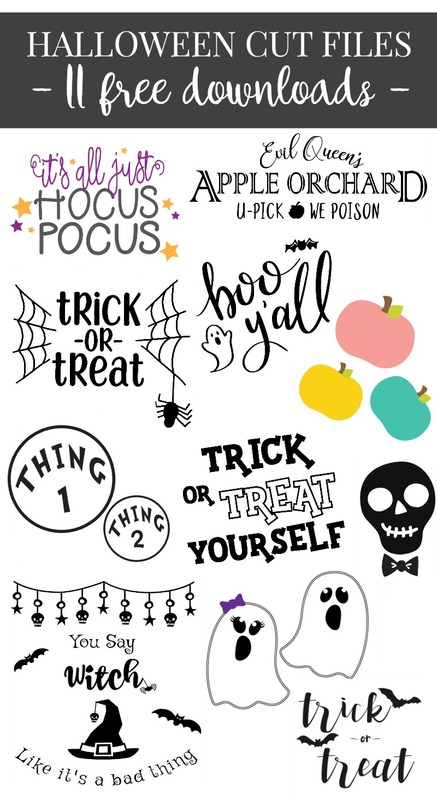 What a cute SVG and it can be used for so many Halloween decorations. I’ll be featuring it tonight at Merry Monday.